Thanks to Stu K6TU for his outstanding job in developing customized propagation prediction tools. 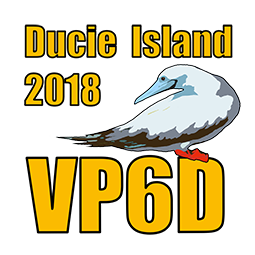 Please feel free to use his propagation forecast tools to predict conditions towards Ducie Island based on your location and your equipment. If you do not know your grid locator: Click here for Grid Locator.